Frame from Inauguration of the Pleasure Dome, dir. Kenneth Anger, 1954-6/1968-70. 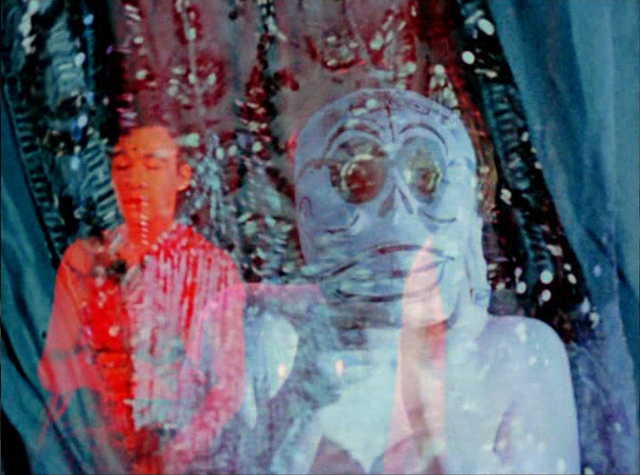 Courtesy Kenneth Anger. This conference paper developed a thesis that costume in early cinema was used as a special effect which fed into my paper on the same published in New York brochure of Birds of Paradise, and to be re-worked into a bigger paper for forthcoming book.